After the remarkable success of the original Pokémon Stadium, Nintendo didn't let Pokémon fans wait for long before releasing a sequel for the game, featuring all the 251 Pokémon from the first and second generations. Just like its predecessor, Pokémon Stadium 2 succeeded in displaying the Pokémon in the 3D world, with amazing animations and moves. In fact, the Pokémon graphics were improved with a lot of new skill animations, yet, the background still looked blurry. Sound wise, the game once again used generic Pokémon sounds which was quite disappointing for the fans who hoped to get unique Pokémon voices as they are in the animation series, this time. The game play style was practically the same too with the game focusing mainly battles, with the goal of beating all Stadium Cups and the Gym Leader Castle. The main difference between the games was the change done to the Stadium Cups with the removal of the Pika Cup, the change of the Little Cup rules and the addition of the Challenge Cup. The Gym Leader Castle now includes all the gym leaders from the Kanto and Johto Regions. Additionally, Pokémon Stadium 2 also offers new modes like Pokémon Academy and My room with the possibility of having a female player icon. The Transfer Pak was still the most prominent feature of the game, allowing the link to both trilogies of the first generation (Red, Blue and Yellow) and the second one (Gold, Silver and Crystal) which gives the players the option to transfer, store and trade Pokémon. 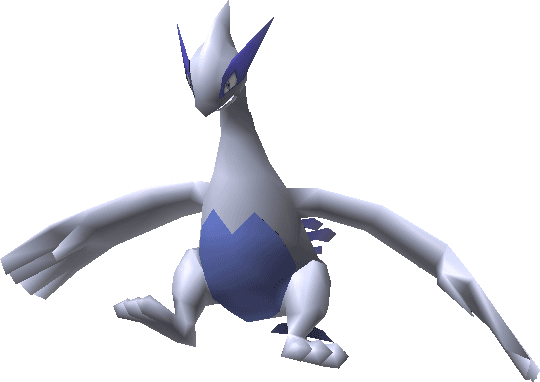 As a strategy game, Pokémon Stadium 2 doesn't have a storyline and revolves around clearing the Stadium and The Gym Leader Castle. Hundreds of Pokémon in Three-mendous 3-D! What's sweeter than victory in a Pokémon battle? Victory in a 3-D arena on the N64! Set your strategy then stand back while your Pokémon battle it out. You can even see the Pokémon you've trained rendered in 3-D and ready for battle! Nearly 250 Pokémon! Transfer Pokémon from the Red, Blue, Yellow - even Silver and Gold - versions of Pokémon for Game Boy. Or play with Rental Pokémon from the game. See them all in glorious 3-D! 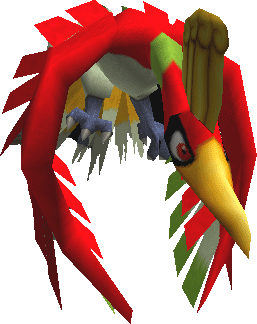 Pit Ho-Oh, Lugia, Entei, and Pichu against all-time favorites like Mewtwo, Charizard, Blastoise, and Pikachu. Become the Stadium Champion! Take on 21 Pokémon Trainers in the Gym Leader Castle and try to win it all! 12 all-new mini-games! Try to bump the other Hitmontop out of the arena in Topsy-Turvsy or charge up more energy than anyone else in Pichu's Power Plant. Several fun modes are present within the game, each with their own rules and requirements, along with hidden modes that can only be unlocked after the completion of some game parts. Most of the battle modes include a Round 2 difficulty, which gets unlocked after clearing the game. Battle Now: A casual battle mode where the player gets to choose whether to battle the AI ("Cal" from Gold and Silver) or another player. The Pokémon used are level 40 including some evolved ones. Unlocking Round 2 will make the Pokémon level 70 and mostly evolved. Event Battle: A casual Player VS Player battle mode in which players can use the Stadium Cups rules and select specific ones for their battles. Pokémon Stadium 2 added the "Rule Edit" feature, allowing the creation of custom rules. This mod does also require that both players plug a GB Pokémon game to their Transfer Pak, since the Pokémon that will be used are those present in the GB games' parties. Stadium: The main game mode, in which the player can participate in four Player VS AI Cups. Each Cup requires the player to defeat eight trainers following different sets of rules and difficulties. Petit Cup: The rules for this cup are different from Pokémon Stadium 1. It now lets only level 5 none evolved Pokémon that can evolve participate. The Petit Cup doesn't allow the "Dragon Rage" and "Sonic Boom" skills, which will have no effects if used. Poké Cup: Only Pokémon between the levels 50-55 can participate with the exclusion of the legendaries (Mew, Mewtwo, Lugia, Ho-Oh and Celebi). The combined level of the Pokémon in team, also, cannot exceed 155. This Stadium Cup comes in four different difficulties, each corresponding to a Poké ball name (Poké Ball division, Great Ball division, Ultra Ball division and Master Ball division). Defeating all the trainers unlocks a harder difficulty every time, starting from "Poké Ball". Prime Cup: All Pokémon, including legendaries, can be used within this Cup, up to the level 100. All the opponents will have level 100 Pokémon that might include some legendary ones. Unlike the previous game, the Prime Cup no longer comes in four difficulties (Poké Ball division, Great Ball division, Ultra Ball division and Master Ball division) but only in one, instead. Challenge Cup: A new cup featured in Pokémon Stadium 2. It's different from the other cups, since the Pokémon will be picked randomly with random skill sets. It also has four levels of difficulty, as in the Poké Cup, with each difficulty setting the Pokémon at a certain level (Poké Ball = 30, Great Ball =45, Ultra Ball = 60 and Master Ball = 70). Free Battle: A free battle mode, in which up to 4 players can battle and team up against each other, using the different rules of the Stadium Cups or the custom made ones. Gym Leader Castle: Another mode that changed from the last game. The player has to battle the gym leaders of the Johto Region. 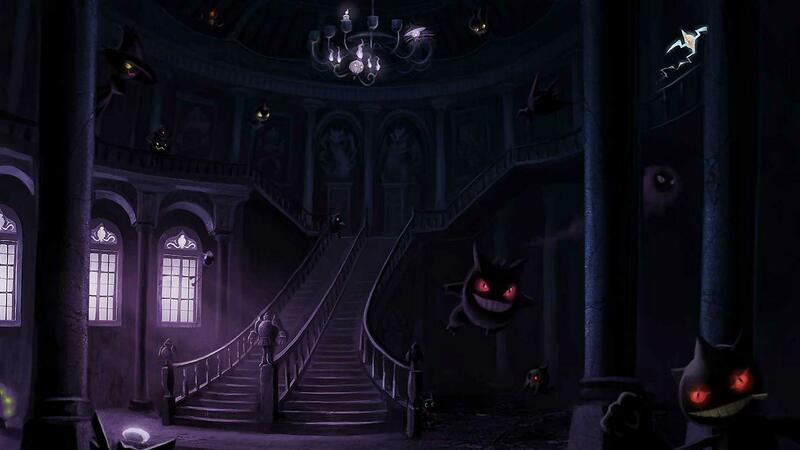 Within each gym there a varied number of trainers to be defeated before reaching the gym leader. Once the player beats all Johto gyms they will face the Elite Four, followed by the champion Lance. Defeating Lance unlocks the Kanto Region Gym Leader Castle. Defeating all Kanto gyms will unlock a special last opponent, which is Red (the main protagonist from the first generation games). Mini Games: Twelve mini games with four difficulties, that can be played in single player or against other players. There's are also Pokémon quizzes that will test the players' Pokémon knowledge. Pokémon Academy: An academy where the player can learn a lot about the game's strategies within classroom lectures and tests. 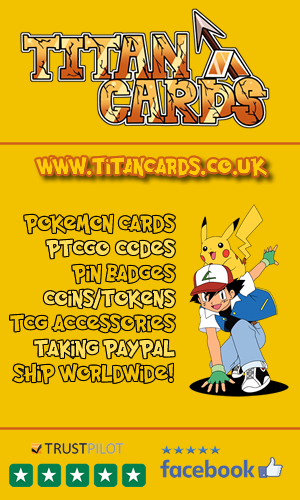 It does also provide a library where they can study different Pokémon, Items and Skill Moves. It's a pretty good way for someone new to Pokémon to gain a basic understanding that will help them in battles. VS Rival: Clearing all Stadium Cups and the Gym Leader Castle will unlock a cave within which the Rival will await the player. Defeating the Rival unlocks the Round 2 difficulty of the game. Same as the previous game, the Transfer Pak is the most important feature, not only linking Pokémon Stadium 2 to the trilogy of the first generation (Red, Blue and Yellow) and the trilogy of the second generation (Gold, Silver and Crystal), but also allowing the player to use many new fun options, along with those from Pokémon Stadium 1. GB Tower: Allows the emulation of the linked Game boy Pokémon games with augmented game play speed. Pokémon Lab: This is by far the most useful feature of the Transfer Pak. The Lab PC lets the player browse the different boxes on their linked Pokémon game, allowing them to organize their Pokémon and transfer them to Pokémon Stadium 2. It also provides extra boxes which the player can use to store Pokémon from the other games. The Pokémon Lab, also, makes trading between different games possible, once they're inserted to the Transfer Pak on the controllers. Moreover, there's a Pokédex which players can use to investigate all Pokémon present in game and where they can be found within the Johto and Kanto maps. Mobile Stadium: This option requires plugging Pokémon Crystal to the Transfer Pak. It downloads the saved battles from Crystal and lets the player preview them in 3D. Mystery Gift: A feature that allows the player to send daily gifts to their second generation Pokémon games, by linking them to the Transfer Pak. The gifts vary from rare items to decorative items. Your Room: This feature requires a game from the second generation to be plugged to the Transfer Pak. It lets the player view their room from New Bark Town in 3D and decorate it with the different items obtained in the Game Boy game. If the starter Pikachu from Pokémon Yellow is transferred, it will be saying its name as a cry. Clearing all cups or the Gym Leader Castle unlocks Doduo Tower, that can run linked games at 200% game play speed. Completing both will unlock the Dodrio Tower which allows the use of 300% game play speed. Defeating the Gym Leader Castle and the Rival will each unlock alternative title screens. The Gold and Silver coloration of the cartridge of the game is a reference to Pokémon Gold and Pokémon Silver. Electabuzz's model still has 6 fingers on each hand, same as Pokémon Stadium 1. "Pocket Monsters Stadium : Gold & Silver" is the Japanese version of the game. This was due to the previous game being named "Pokémon Stadium 2" in Japan. AI trainers will sometimes address the player during the matches. Check out these Pokemon Stadium 2 videos. The videos include the games trailer in HD and TV Commercials. The Mobile Stadium theme music. We didn't get this feature in the international releases, it was only available in Japan. Therefore this music could not be accessed in western versions of the game, despite being present in the games data files. 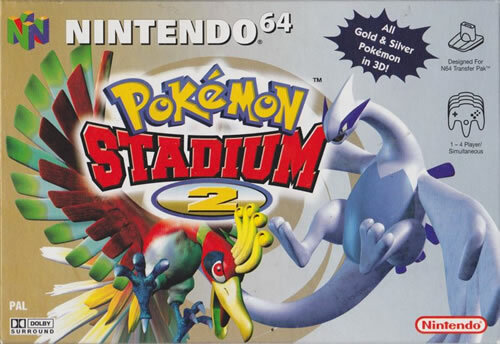 Although many were awaiting its release, Pokémon Stadium 2 didn't earn a best seller title, like its previous version. The game, so far, sold an estimated 2.5 millions of copies. Similarly to the previous game, Pokémon Stadium managed to gain the approval of a good majority of critics, who were literally astonished by the graphics of the Pokémon in game and the fluid animation of the different skill moves. Yet again, many confessed how they were expecting the use of unique Pokémon sounds like in the animations series, to be disappointed once again with the generic sounds. There is a very high likelihood that the reason behind those sounds not being included was the limited space on the N64 cartridges (64mb max) - had they been on CD/DVD perhaps things would've been rather different. Nonetheless, the game still managed to get high scores from video games reviewers with IGN's Chris Carle scoring the game a strong 7.5 of 10 and quoting "The battle system, which dominates game play, is easy to follow, as it mirrors the Game Boy skirmishes any Pokefan is well-versed in. 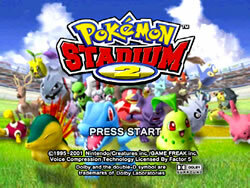 However, even if you have never explored the world of Pokémon, everything about Stadium 2 is user-friendly". GameSpot's Gerald Villoria too gave the game a high score of "7.2 of 10" quoting "If battle is the heart of the Stadium series, the graphics are clearly the body. The 249 Pokémon available in Stadium 2 are rendered in full 3D, complete with a proper repertoire of over-the-top attack effects. The characters are large, nicely rendered, and faithfully represent what you would expect of the cartoon and handheld's newest stars. The techniques are each accompanied by a brief animation, such as an onscreen sandstorm, a colorful shower of light, impressive chrome effects, and the like". As for Nintendo Power Magazine a "4 out 5 stars" was the score they granted to Pokémon Stadium 2.